An earth like planet, about how life can be created on other planet like earth. How the living creatures, atmosphere,gravity, nature will look like? 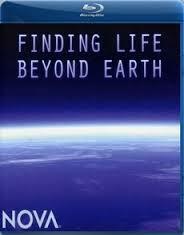 Take a trip to distant realms of our solar system to discover where secret forms of life may lie hidden. Combining the latest telescope images with dazzling animation, this program immerses audiences in the sights and sounds of alien worlds, while top astrobiologist explain how these places are changing how we think about the potential for life in our solar system. We used to think our neighboring planets and moons were fairly boring mostly cold, dead rocks where life could never take hold. Today, however, the solar system looks wilder than we ever imagined. Powerful telescopes and unmanned space missions have revealed a wide range of dynamic environments, atmospheres thick with organic molecules, active volcanoes, and vast saltwater oceans. This ongoing revolution is forcing scientists to expand their ideas about what kinds of worlds could support life. If we do find primitive life-forms elsewhere in the solar system, it may well be that life is common in the universe the rule, and not the exception.